HCM City (VNA) - A programme to sort waste at source has been launched in Ho Chi Minh City’s export processing zones (EPZ) and industrial parks (IP) by the HCM City EPZ Authority (HEPZA) and the Department of Natural Resources and Environment. The authority has also called on the developers of EPZs and IPs to adopt measures such as placing 240l public garbage cans in the locations, help EPZ and IP management boards supervise the separation of waste by enterprises and report on those not complying with waste sorting regulations. 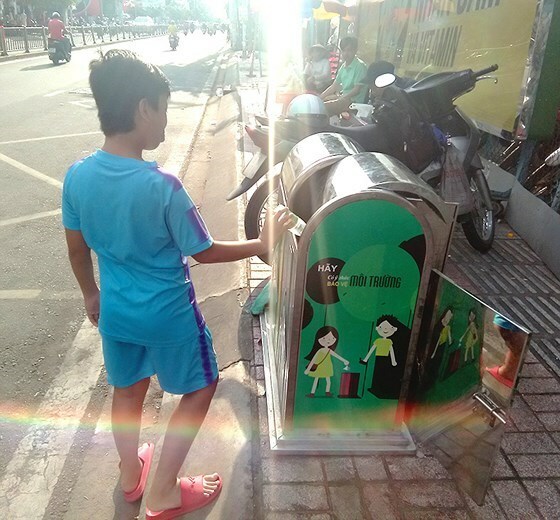 A spokesman for the Linh Trung EPZ in Thu Duc District said twin-compartment dust bins have been placed and workers and enterprises at the EPZ have been told to dump their waste in the right one and at scheduled times. The latter have been told to provide training to raise awareness of waste sorting and environmental protection in general, he said. Similarly, the Tan Thuan EPZ too has begun the programme, separating organic and inorganic wastes before sending them to garbage collectors. Waste and mud discharged by factories in the EPZ are used to produce fertilisers for plants growing in the zone. With this programme, Tan Thuan has been chosen by HEPZA to build the first green EPZ model in the city, and will be emulated by other EPZs and IPs. According to head of HEPZA Nguyen Hoang Nang, documents have been issued to guide the implementation of the programme and discussions have been held with garbage collectors. HEPZA has also spoken with the developers of EPZs and IPs about the implementation of the garbage segregation programme, and asked them to place two dust bins (for organic and inorganic wastes) at public locations. It has instructed EPZ and IP authorities to supervise and report on garbage collection operations to competent bodies such as the local Department of Natural Resources and Environment. It has also sent documents on the programme to the website of the department to enable enterprises to meet its norms. It has called on EPZ developers to monitor the competence of garbage collectors and create favourable conditions for those who meet the criteria set by city authorities. Nguyen Thi Thanh My, Deputy Director of the Department, said waste is littered everywhere in EPZs and IPs, especially at their entrance.